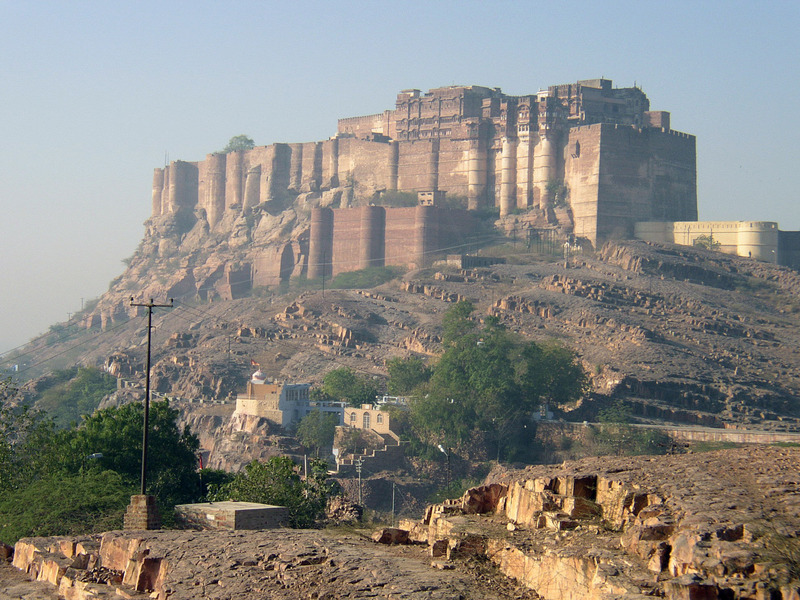 Our stop during today is Jodhpur, just in the middle of Rajasthan. 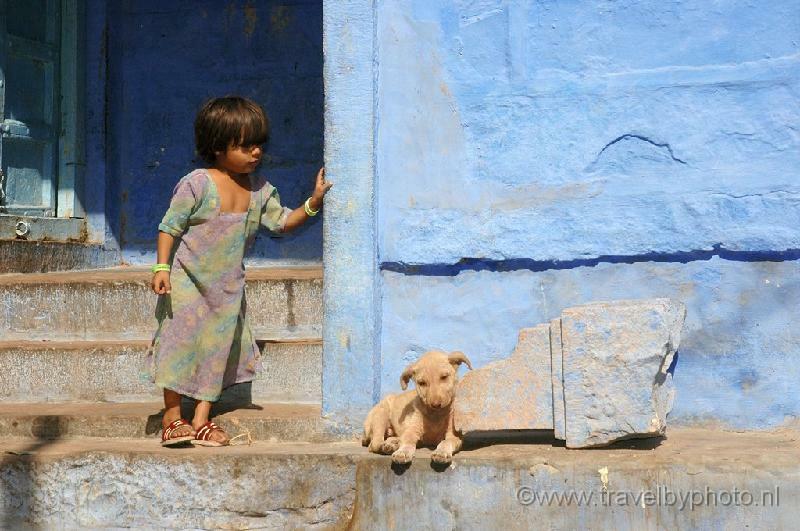 Jodhpur is known as the blue city, because many of its houses are painted in blue. Some say that this is because this is the colour of the brahmin, the hightest cast in the indian cast system. I tend to believe, however, that the reason is the same than in another lovely blue painted town, the moroccan Chaouen: blue is a refreshing and cooling colour, and a bit of refreshing, here in the middle of the desert, I am sure doesn't harm anyone! 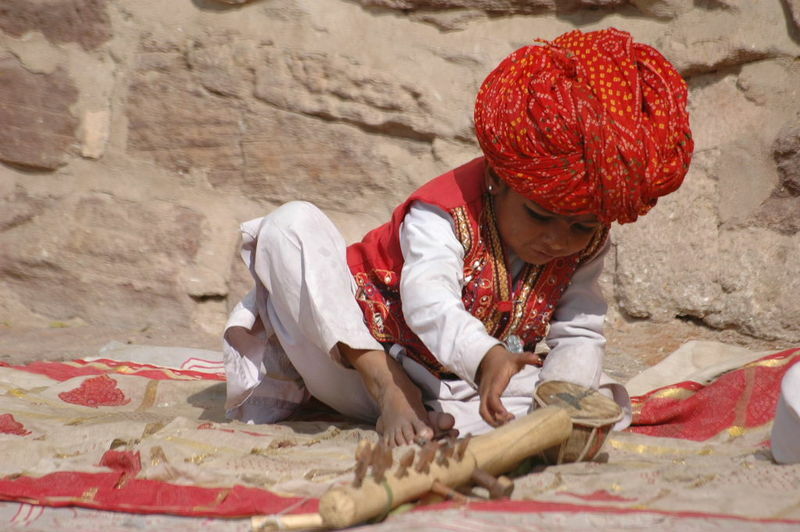 We will just stay one day, without any night, in Jodhpur. Maybe it would deserve more, but we don't have time for everything. As a concrete things to see, there is specially the mighty Mehrangarh Fort, which looks absolutely impressive in the pictures, inmense and powerful. As opposite to the one in Jaisalmer, this one is much smaller and is inhabited, containing only unused palaces and administrative buildings. 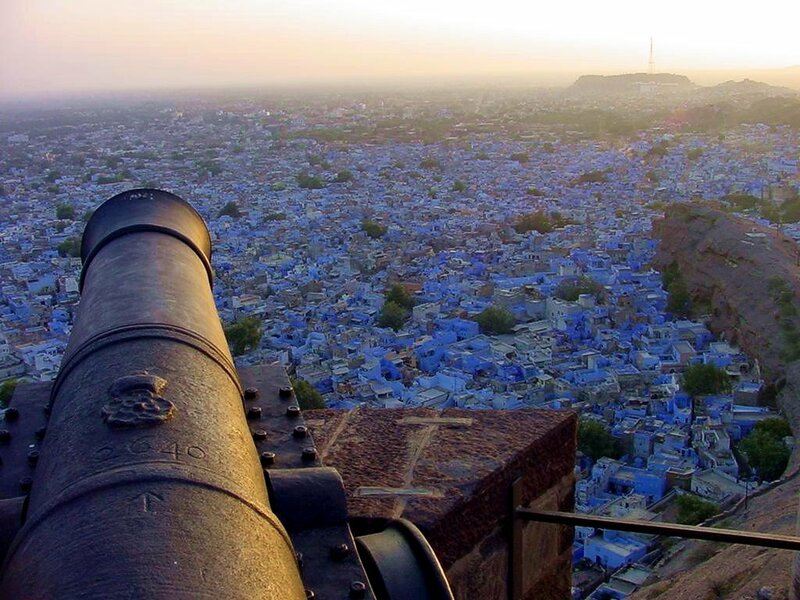 What Jodhpur doesn't lack either, like the whole of Rajasthan, is markets and bazaars and handicrafts of all sorts, so maybe it can be a good day to take a glimpse to it. 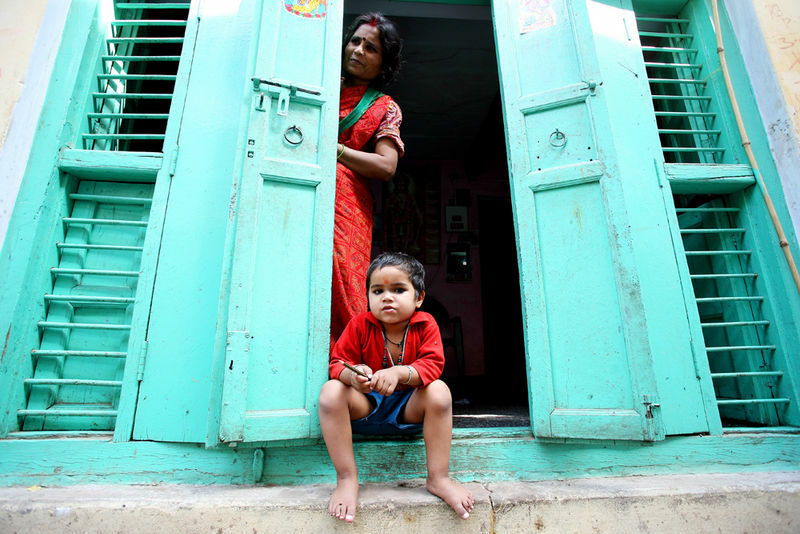 We won't spend any night in Jodhpur, so we expect to rest well enough in the previous and following transports. We will get into Jodhpur at 05:35 in the morning with a train coming from Jaisalmer, 300 kilometers away, where we will have been sleeping perfectly and comfortably, and we will leave by bus to our next destination, Udaipur. Unfortunately, a big mountain chain makes a railway impossible between the two cities, so we will have to take the bus. 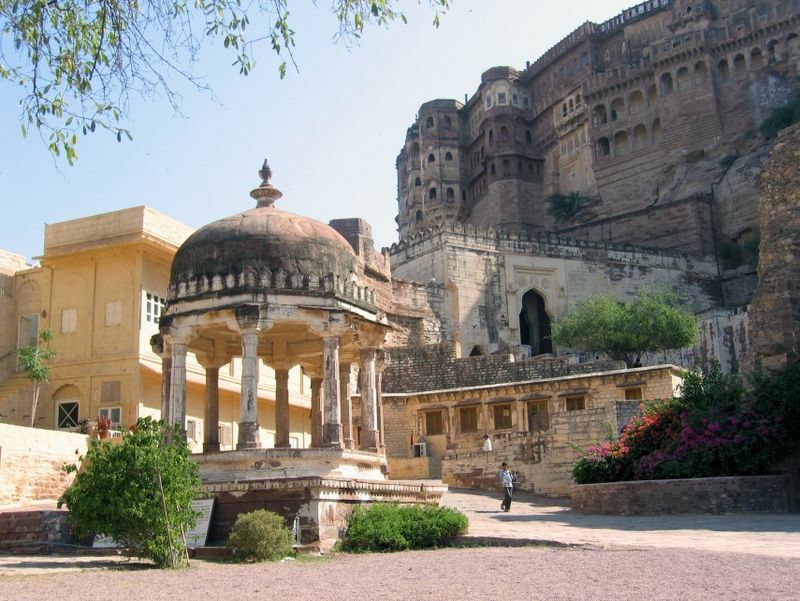 There are a few during the day, but to maximize our Jodhpur experience and our chance to sleep, we will probably choose an overnight one that departs late in the evening.